Cards Against Humanity has been a huge success, but it also has a lot of critics. If you want to build your own card game and have some knowledge of Ruby, Squib will be right up your street. 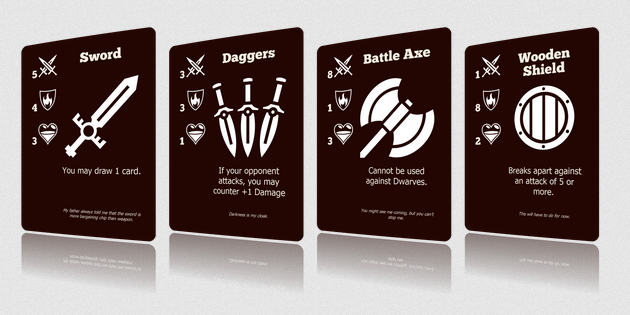 The Ruby Domain Specific Language (DSL) is available on GitHub and lets you define your game deck’s stats, then compile it into a series of images ready to print. The implementation is based on the Cairo graphics rendering engine, which is used by WebKit, Gecko and Inkscape among others. Let me know if you end up making your own game with Squib and share the links in the comments.